To submit a completed program to play on PTV 99, you must be a resident of Provincetown, MA or a PTV Member. Send videos to info@provincetowntv.org via email, www.dropbox.com, www.hightail.com, or GoogleDrive. Drop off thumb drive with a digital file. Please DO NOT submit DVDS. Digital files STRONGLY preferred. If you are not a PTV Member, PTV will need you sign or e-sign a statement of compliance with our policies. It is up to you to guarantee that your program is not libelous, slanderous, or in any way illegal. Please make sure that you have copyright to all material used in your program, including music and graphics. Responsibility for any and all lawsuits that arise as a result of your submitted program fall on the submitter of the program for cablecast and not PTV or the Town of Provincetown. Submit non-commercial information about your community event or group for cablecast on the PTV Community Bulletin Board. Submit PDF or JPEG posters or send information you'd like to appear to heather@provincetowntv.org. Use PTV Public Access's social media to show your work to the Provincetown community online! 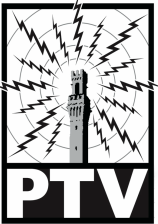 PTV's social media services are available for all Provincetown residents and PTV Members. Submit any non-commercial media (including clips or full videos, photos, articles, blog posts, or podcasts) and PTV will post them to our Facebook page and Twitter. Email content to info@provincetowntv.org with a proposed blurb to accompany your content. PTV reserves the right to reject or propose adaptation to any submitted social content. FACEBOOK VIDEOS: Submit any noncommercial video or clip that is 1 gig or under in a .mov or .mp4 format to info@provincetowntv.org. Many members share videos with us via www.dropbox.com, www.hightail.com, or GoogleDrive. You can also drop off your file on a thumbdrive or harddrive to the PTV Station at 330 Commercial Street. Please allow up to 5 days for PTV to post your content. We will contact you once your post is live.